The overall attitude of investors toward Nigerian equities strengthened Thursday as market breadth (advancers/decliner’s ratio) rose to 1.5x from Thursday’s close of 1.0x after 29 stocks advanced against 19 decliners, thus pushing the benchmark index up 0.5%. The general tone of the market revealed a positive belief about future outcomes and risks (though not justified by the facts at hand) as it sustained a 19 consecutive bullish run with the all-share index closing at 33,695.83 points while year-to-date gain improved to 25.4 percent. In the same vein, market capitalization increased N62.3 billion to close at N11.6 trillion. Thursday’s positive performance was largely driven by sustained interest in DANGCEM (+0.5%), NESTLE (+1.8%) and WAPCO (+5.0%). 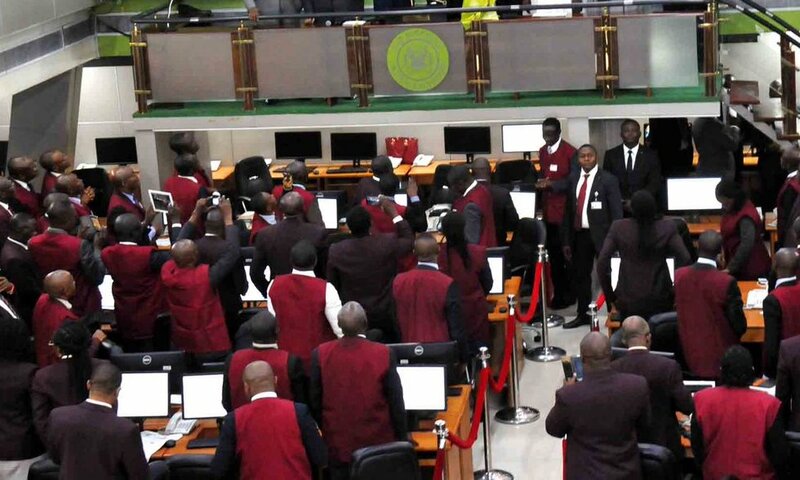 However, activity level weakened as volume and value traded declined 42.2 percent and 32.8 percent to 191.4 million units and N2.2 billion respectively. Sector performance was broadly bullish as all indices closed in the green save for the insurance index, which slid 0.2 percent due to losses in LINKASSURE (-3.5%) and NEM (-2.4%). The industrial goods index led gainers with a 2.2 percent return following price appreciation in WAPCO (+5.0%) and DANGCEM (+0.5%). Relatedly, WAPCO released its half-year 2017 result, which surpassed analyst expectations as gross revenue grew 44.2 percent to N154.8 billion while a profit after tax of N19.7 billion was recorded for the period compared to a loss of N30.3 billion in the prior period. Similarly, the banking and consumer goods indices climbed 0.5 percent apiece due to gains in GUARANTY (+1.1%) and NESTLE (+1.8%) respectively. Also, the Oil & Gas index improved 0.1 percent on gains in OANDO (+3.9%). SKYEBANK (+9.5%), NEIMETH (+9.5%) and WAPCO (+5.0%) led the gainers’ chart, while 7UP (-5.0%), VITAFOAM (-4.8%) and AGLEVENTIS (-4.0%) were the worst performers. The positive sentiments have buoyed analysts expectations who, despite fears of end-of-the week profit taking, are calling for an upbeat performance in the light of the release of more positive H1:2017 corporate scorcards.